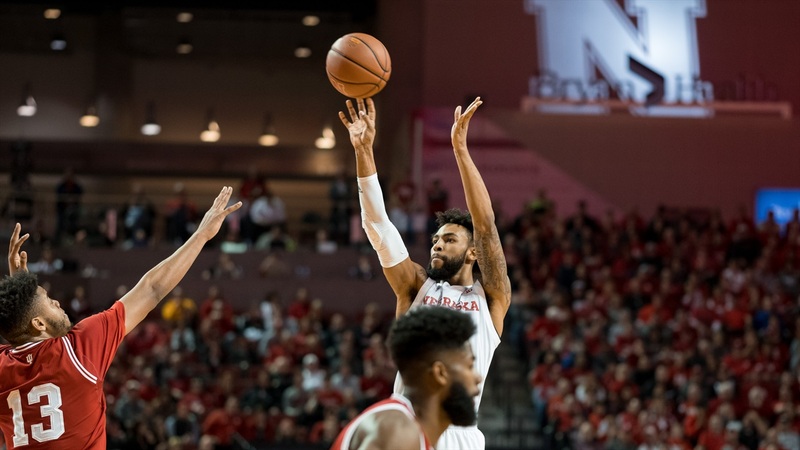 Another piece of Nebraska’s 2018-19 nonconference schedule come into focus on Tuesday as the National Association of Basketball Coaches revealed the match-ups and times for the 2018 Hall of Fame Classic in Kansas City, Missouri. Nebraska will take on Missouri State on Nov. 19 at 6 p.m. at the Sprint Center. ESPNU will broadcast the game. Texas Tech will face USC in the other semifinal at 8:30 p.m. on ESPN2. The third-place game will tip off at 6 p.m. on ESPN3 on Nov. 20 with the championship game to follow at 8:30 p.m. on ESPN2. Missouri State went 18-15 last season including 7-11 in the Missouri Valley Conference. The Bears return only one of their top four scorers, 6-foot-4 guard Jarred Dixon who averaged 9.1 points and shot 39.5 percent from 3 as a junior. The team’s top player last season, double-double machine Alize Johnson, went 50th overall to the Indiana Pacers in the 2018 NBA Draft. USC returns just one of its double-digit scorers, 6-foot-10 forward Bennie Boatwright who averaged 13.6 points and 6.4 rebounds but only played 23 games. The Trojans also return 6-foot-3 guard Jonah Matthews (9.3 points per game) and 6-foot-11 forward Nick Rakocevic (8.1 points and 6.2 rebounds per game). USC’s 2018 recruiting class includes 5-star guard Kevin Porter and 4-stars Elijah Weaver, a guard, and J’Raan Brooks, a forward. Texas Tech went 27-10 last season but brings back just one of its top six scorers in Jarrett Culver, a 6-foot-5 guard who averaged 11.2 points and shot 38.2 percent form 3. Texas Tech added a pair of grad transfers in 6-foot-3 guard Matt Mooney who put up 18.7 points per game for South Dakota last year and 6-foot-10 forward Tariq Owens, a shot-blocking specialist from St. John’s who averaged 8.4 points and 5.9 rebounds for the Red Storm. Chris Beard also added a 4-star freshman in forward Khavon Moore. As part of the event, Nebraska will also host Mississippi Valley State on Nov. 6 and Southeastern Louisiana on Nov. 11. Mississippi State went 4-28 last season while Southeastern Louisiana went 22-12 and returns two double-digit scorers in 5-foot-9 guard Marlain Veal and 6-foot-7 forward Moses Greenwood. Nebraska’s nonconference schedule also includes games against Seton Hall, Western Illinois, Clemson and Oklahoma State.